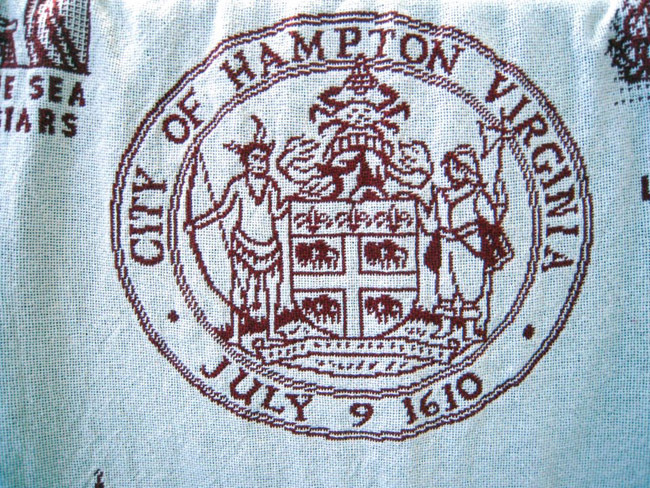 Anyone who has ever lived or worked in Hampton, Virginia—or simply enjoyed a visit here—should own one of these beautiful blankets! You won’t find another Hampton memento quite like it. 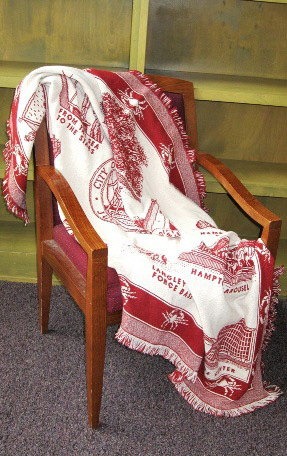 Our exclusive throw is bordered with Hampton’s renowned blue crabs, and the center combines detailed illustrations of the city’s most famous landmarks.Proceeds from sales of the Hampton Throw help support the children of Downtown Hampton Child Development Center. 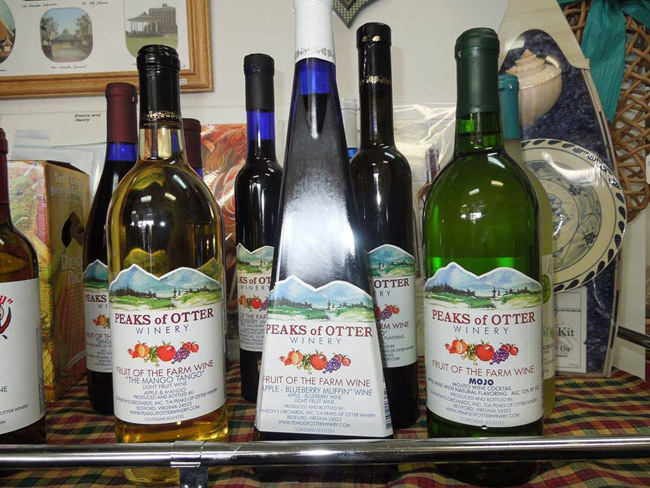 “Fruit of the Farm” wines are made from a wide variety of fruits – apples, grapes, blackberries, blueberries, peaches, chili peppers, cherries, elderberries, and much more – all grown in Bedford, Virginia on the farm located at the foot of the Peaks of Otter. 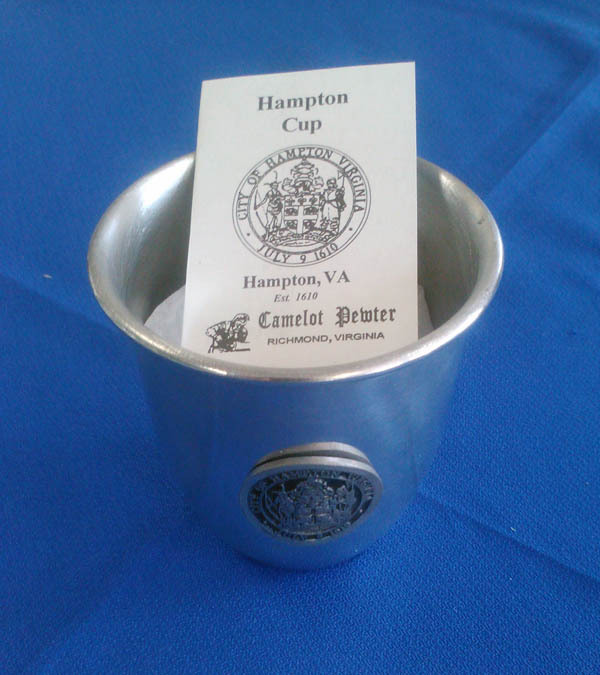 The Hampton Cup is an adaptation of a pewter mug in use in the colony of Virginia in the seventeenth century. Pewter, an alloy of tin and copper, is very durable, and was found particularly suitable for utensils. The plentiful supply of pewter-ware listed in Virginia inventories, for the most part, had either been brought over in household shipments of the planters or was available from England. By 1674, however, pewter was being fashioned in Tidewater, as was earthenware and glass, but the amounts in domestic production were limited. 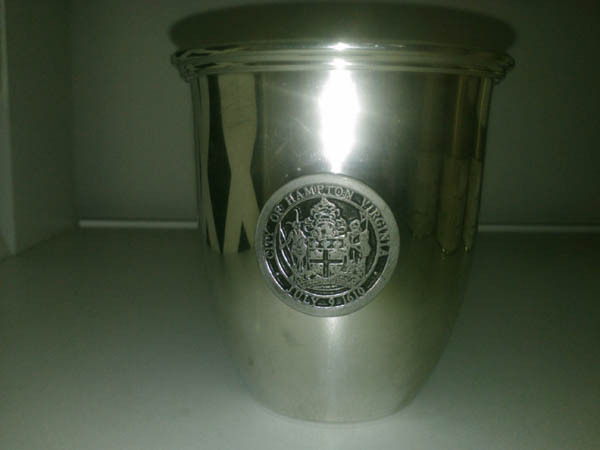 The 1726 inventory of a Hampton merchant and keeper of an Ordinary lists a quantity of pewter from the description of which, with permissible license, the Hampton Cup was designed.